Done correctly, Facebook PPC advertising should not cost you a dime. Because, done correctly, the traffic you generate should convert to leads, sales and profits. If not, then you have missed the mark and will need to tweak your campaigns until you produce a positive return on investment (ROI). Here some proven techniques to significantly reduce or even completely eliminate any Facebook ads cost and turn a profit almost immediately. First thing you’ll want to understand is advertising on Facebook is not free. There is a “facebook ads cost per click” upfront, but the goal is to turn those clicks into likes, leads, sales and profits. Facebook advertising is a paid direct response service similar to placing Google Adwords ads or Youtube promoted video ads. However, you have complete control over how much are willing to spend on a daily basis or even over the lifetime of your campaign. You can estimate the facebook ads cost per click (CPC) during the set up process of creating your ads. You can simply enter various targeting criteria and continue through the process until your reach the last step – which deals with pricing. It’s at this stage the system will present you with a suggest bid price of other ads competing in your same niche. When your ads actually runs on their network the only facebook ads cost you incur is when a prospect actually clicks on your advertisement to get more information. So these can be highly targeted prospects if you do it right. In addition to the pay-per-click model, you can also select to be charged per 1,000 ad impressions. So instead of paying a set price per click, you can be charged based on the number of times your ad simply appears in the network regardless of how many or how few potential prospects actually click on your ad. So which is better? It depends, and the only way to know for sure is to test out both models to determine the least expensive facebook ads cost possible. Decrease your advertising spend and you increase profits. The primary goal of every direct response advertising campaign is to spend less than you make which produces a positive return on investment. To produce a positive ROI you will need to track not only the cost per click or per impression, but the actual number of leads, likes, sales and profits you generate on the back-end of your campaign. For example, if you are paying $0.50 per click and it takes an average of 10 clicks to gain a new lead… you have looking at a $5.00 per lead cost. So how many leads do you need to make a profit? Only you can answer this question based on the “conversion to sale” rate you presently enjoy in your business. Make sense? So while I might be able to make one sale per 10 leads (10% lead-to-sale conversion rate), while your marketing process might convert one sale out of every 5 leads (20% conversion). Once you have your conversion rate handy, then it is very easy to crunch the numbers to determine your real facebook ads cost, if any. Let’s assume you have a $50 product for sale. It pays a $25 commission, and historically you have enjoyed a solid 5% conversion rate. Meaning 5% of the people who see your offer winds up investing in your product. 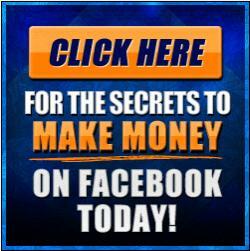 Now you simply need to decide what a good ROI on your facebook ads cost might be. Let’s say a 50% ROI sounds good which leaves us with an advertising budget of only $62.50 per 100 clicks… or $0.625 per click. So that’s the maximum you should be willing to spend. And if you do everything correctly and your ad converts as intended, you basically double your money!